An authentic script from the tip of the ball point pen. 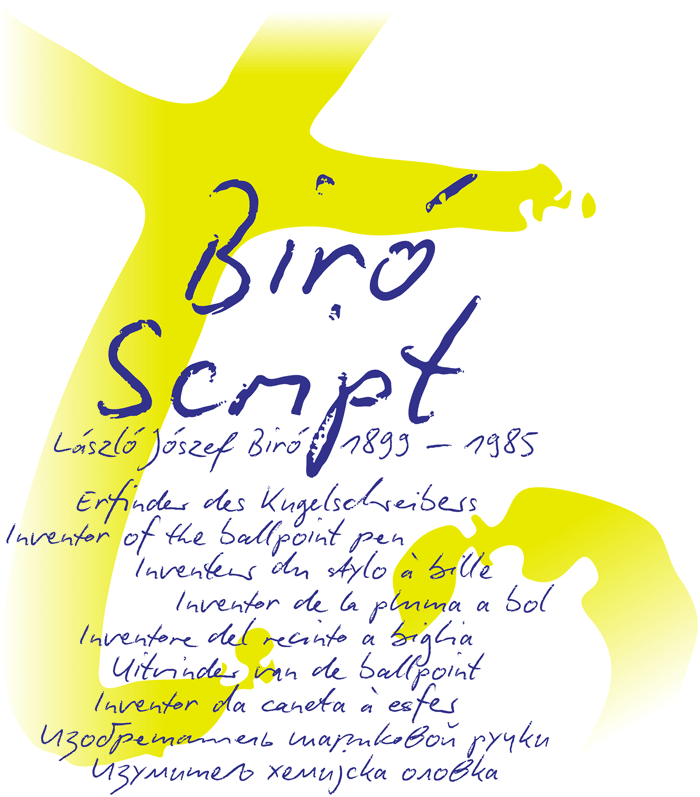 This hasn’t been seen yet: A typeface which truly looks as if it were handwritten. Calligraphy is, actually, the art of fine writing. And actually, written scripts as typeface for the computer are 100% nonsense. And yet, an obvious thought: Create a typeface which truly derives from everyday handwriting. And since we, if we write at all, utilize practically only a ball point pen anymore, then a modern cursive writing form must look like just that. As a counterpart to the artistic “handwritings” which have long been available as typeface, the thought of digitalizing a truly “ugly” handwriting is appealing. After all, time and again there is the need for a text to look “handwritten,” and it is always easier to have a typeface available rather than actually writing the text with a utensil on paper, scanning it and positioning a large multi megabyte graphic within a document.